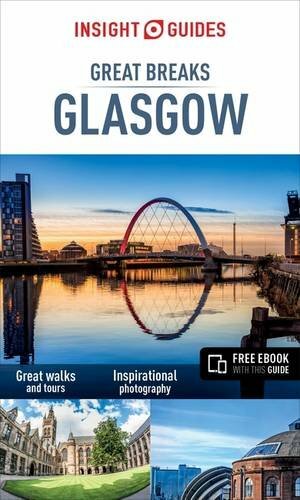 Great Breaks Glasgow is a compact travel guide that combines snappy text with full-colour photography to highlight the very best that this lively city has to offer. The Walks and Tours section suggests various routes around the city to discover the key sights that you will not want to miss; from an artistic amble around the West End and Southside on the Mackintosh Tour, to a trip through Glasgow's industrial heritage via the Old Fruitmarket and City Halls on the Merchant City Tour. Each walk offers a selection of places to eat and drink as you go and clear maps plot all the major sights. The Overview chapter offers some historical context to your trip and suggests some venues to experience Glasgow's vibrant entertainment scene along the way. The Travel Tips section lists the active pursuits and themed holidays you could try, along with essential practical information and hotel recommendations. Glasgow's Top 10 helps you to plan how best to spend your time and experience the very best of this Scottish city.